Everywhere round the world pottery workshops are considered as a particularly valuable way to spend one’s free time. They make it possible to get away from one’s everyday life, relax and test one’s creative potential. With all the people who look for ideas on how to spend their free time in an interesting way, new challenges, and who want to develop themselves in a creative way in mind, we have prepared a program of pottery workshops adjusted to your availability and expectations. With the help of the four elements: water, fire, air, and earth, you will be able to create your own, unique stoneware vessels. The program of our workshops has been designed in such a way so that they would be available both to the people whose schedules are very busy, who do not have too much free time, as well as to people who want to experience a longer pottery adventure. One-day workshops are focused on the process of decorating ready-made vessels with the traditional Bolesławiec stamping technique. 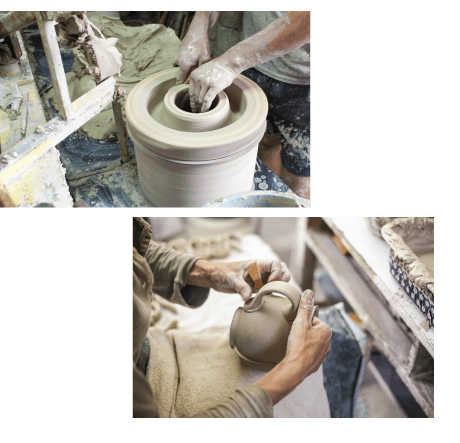 During three-day workshops, the participants have the opportunity to create their own vessels from scratch. 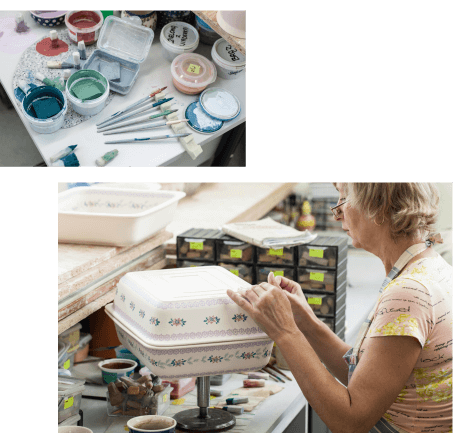 Our instructors will gradually introduce you into the incredible world of pottery, teach you how to work with clay, demonstrate particular stages of the manufacturing process and describe basic decoration principles. The rest depends on yourselves – on your dedication and imagination! Every vessel created during the workshops will be fired and sent at your request to the address provided (We are sending the ready products only on the territory of Poland.). 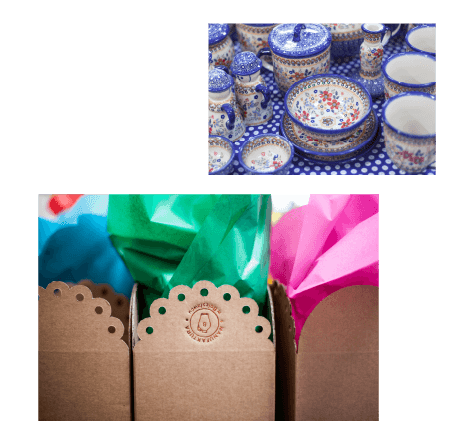 It is a perfect way to give your friends and family an exceptional surprise! To enroll for a workshop, please book a date in advance.